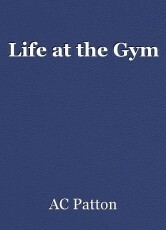 A short comedic story about the different types of people you may meet down at your local Gym. Ah a New Year has dawned upon us which means people will be back at the Gym. I’m not talking about the New Year New Me preachers who sign up in January, only to train until February as they crawl back into the abyss of hibernation. Until next year where they preach exactly the same thing. Still not realising that you’ll never be a new you because you are you! That aside I’m talking about the gym regulars the muscle bound meat heads who dominate the weights section roaring at any newcomer who might venture into their territory. The groups of women who congregate around one particularly machine gossiping. Forgetting that they’re in a gym and not a coffee shop. Ah it all happens down at the gym. Then you get the machine hoggers the people who hog the machine clearly doing nothing apart from texting. It seems the male species of the machine hogger race always text a female thing like “Hey what you up to I’m down at the gym”, Only for the female to turn round and say “Well shouldn’t you be working out”. The other type of machine hogger likes to take pictures of themselves. But these people don’t last very long, they soon crawl back to their bedroom mirrors, much to the bedroom’s mirror annoyance, as they can’t be bothered to venture out anymore as the obsession of looking good in the mirror has consumed them. Also you have those who were ridiculous outfits as if they were pretending to be traffic lights. Followed closely by the Damsel in distress, who is a woman who has never set foot in a gym before and clearly hasn’t been shown how to use any of the equipment by the staff. As they are two busy at the front desk pretending to be nice to people. “Hey how are you”. Like you really care not. Or they’re reading the same magazine they read the day before and the day before that. And if they are not doing that they are trying to sell you flavoured talcum powder otherwise known as protein mix. The Damsel in distress is usually saved by a muscle bound meat head who is obviously hitting on her, why because he makes it obvious. After fending off the wacky power lifter she is then saved by an old veteran of the gym who has been there since time began. Then you have the groups of men who attempt to encourage each other but fail miserably as they soon give up and leave their friend to it, as they train on another machine. As well your trying to avoid the people who think they have the god given right to parade round the gym like they’re a king or queen as they look down on everybody in complete disgust. You then have the short men who if you accidently bump into them, look at you in complete horror as if to say how could you miss me. They then do a power walk towards the locker room taking out their rage on anyone who stands in their way. It’s short man syndrome it’s what it does, they’re like mini versions of the hulk. After that you pass the I’m working out if you enter my space I’ll kill you people. The type of gym goer who is so absorbed in their work out that if you ask them the simplest question like “Have you finished with that machine”? They stare at you as if you’ve insulted them before finally giving an answer. Usually couples make an appearance at the gym they come into together only to leave separately, as an argument unfolds about when is the male finishing his work out. Five minutes passes and before you know it you have a full scale argument right before your eyes. The female disgusted by her boyfriend’s actions retreats to the locker room before deciding how to punish him. The male arrogantly carries on his work out only to finish sooner than he planned as he goes off to find his girlfriend. If you’ve survived all that you then make your way to the pool. You make your way to the pool side, you see the ultra- fast swimmer going up and down who has no consideration for anyone else, as long as they get their swim done that’s all that matters! Then you have the super slow swimmer who unfortunately is bobbing up and down in the waves like a bird in the sea. As the ultra- fast swimmer brushes past them creating move waves for them to bob up and down on. Then you see the people who just stand in the pool for a social chat clearly making no effort to swim at all. Perhaps they have forgotten they’re in a swimming pool. If your exceedingly lucky you’ve done your swim and you enter the other world known as the Sauna, which usually has an awkward silence as the people in it just don’t talk to each other. Climbing on the benches you finally find your spot, which is close to a man who has clearly fallen asleep and will end up looking like a lobster. You then have the awkward guys who enter the Sauna in their boxer shorts for some strange reason perhaps they can’t afford swimming trunks. Much to your relief you’ve had enough and your break the awkward silence by leaving. Walking to the poolside you notice a new swimmer has entered the pool. The territorial type who shoot daggers at you (not literally) as if to say this is my pool and my pool only! You cool off and make your way to the locker room relieved that you’ve done your work out but saddened that you have to do all again the next day. © Copyright 2019 AC Patton. All rights reserved.